How much of my monthly sponsorship gift reaches my sponsored child? 100% of the sponsorship amount reaches the children! Is my monthly gift tax-deductible? Yes, you will receive a tax-deductible receipt for your givings from our partner Freshwater Community Church. I am sponsoring one of the children, but the "Sponsor Me" link is still showing under his photo. Why is that? We are committed to providing the best care possible for our children. The actual cost for that care is higher than the minimum $35/month sponsorship level. For this reason, children may have multiple sponsors in order to cover the nutritional, educational, and medical needs of all of our children. We also want to give everyone the opportunity to help our children, so the partial sponsorship amount allows people to be involved even if they cannot commit to a full sponsorship. The full sponsorship amount is $105/month. Once a child has reached the full sponsorship level, we will remove the "Sponsor Me" link for that child. There is not a sponsorship button available under the child I would like to sponsor! Why is that? If there is no sponsorship button under the child you would like to sponsor it means the child has been fully sponsored (see above question). How do the funds reach Hope For Life Children's Home? The funds are transferred directly from Freshwater Community Church to our bank account in Haiti to be used for the nutritional, educational, and medical needs of the children. What happens to a child who does not have a sponsor? A child with no sponsor will not be treated any differently than the sponsored children. They will still receive the same meals, school supplies, and medical care as the others. The only difference for that child is not having a sponsor to correspond with (see next question). Can I write letters to or send gifts to my sponsored child? Currently the best way to correspond with your child is to send messages and photos to your sponsored child through our Facebook page and we can share it with him or her. Gifts for a specific child cannot be sent due to limited luggage space and the difficulty of ensuring that no child feels left out. 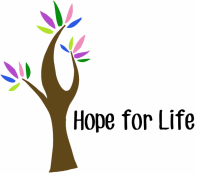 You are always welcome to visit us at Hope For Life! Your child would be especially blessed by meeting you in person and spending time with you. Contact us for more information on accommodations in the area and other details. We are unable to offer assistance with these trips, so it is best if you have other contacts in Haiti to help facilitate your trip. Can my group or organization sponsor a child together? Yes! We would love for your family, Sunday School class, team or club to share in the cost of sponsoring one of our children. Simply choose a member to be the point person to send in the donations each month and we'll handle the rest!